Encouraging members to take care of their mental health is a priority for Delta Tau Delta. In the spring of 2018 the Fraternity launched a new student benefit through a partnership with Talkspace. As an online counseling platform, Talkspace makes it simple and convenient to connect with fully licensed, highly respected counselors via text, audio or video messages from your browser or smartphone—in the library, over the weekend or between classes. Undergraduate members now have access to Talkspace for up to three consecutive months at no cost. Talkspace is completely optional and more importantly, 100 percent anonymous and secure. Undergraduate members should check their email for a voucher code or contact support@talkspace.com. 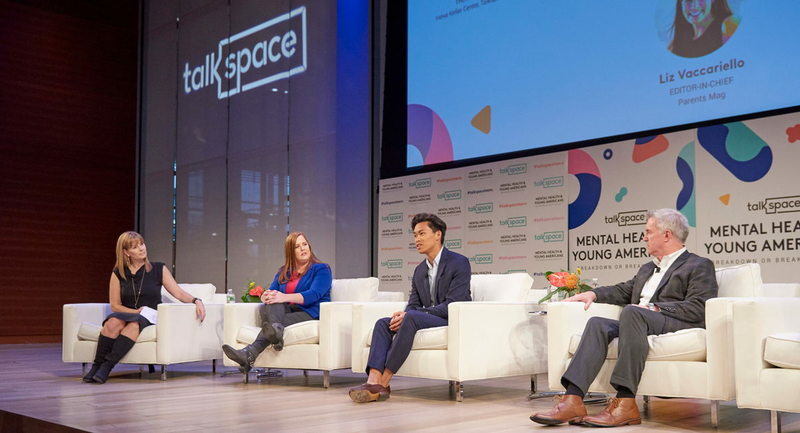 Undergraduate Council representative Michael Nguyen (Case Western Reserve University, 2019) traveled to New York City in October 2018 as a guest of the Mental Health & Young Americans conference hosted by Talkspace. In August, Nguyen took the stage to introduce Dave Kasdan, vice president of business development for Talkspace at the St. Louis Karnea. Afterward, they discussed the state of mental health services and health and wellness on campuses.